1-1/4 Sophia Knob, 1 per package The Liberty 1-1/4 in. 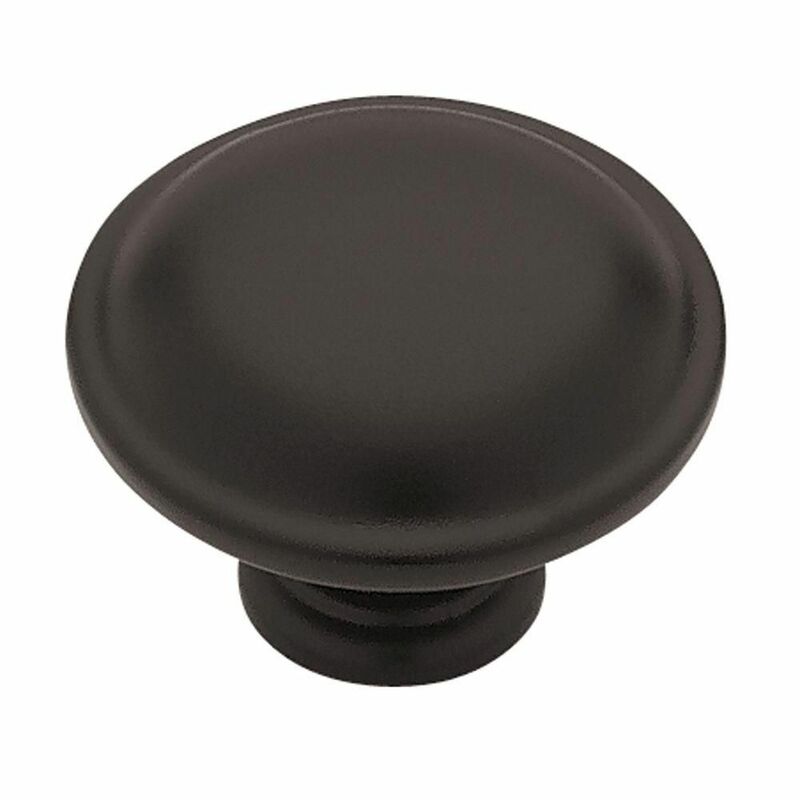 Flat Black Round Knob is the perfect way to add a classic modern accent to your cabinetry. High-quality die cast zinc base material in premium long-lasting flat black is a stylish finishing touch to your decor. Uses 8-32 x 1 in. machine screws. 1-1/4 Sophia Knob, 1 per package is rated 4.9 out of 5 by 14. Rated 5 out of 5 by Kilby at the Lake from Spruced up the old cabinetry Classic, sturdy, easy to install. Perfect finishing touch to my handmade (in 1947), freshly-painted kitchen cabinets. Rated 5 out of 5 by Marsha from Nice, heavy, attractive, and reasonably priced.... Nice, heavy, attractive, and reasonably priced. Rated 5 out of 5 by carallyn from Exactly what I wanted! I initially purchased some cheaper plastic knobs which looked exactly like what they were - cheap and plastic. Then, I discovered these knobs and they were perfect. Easy to install and I had over 30 to deal with!